As Drum Corps International announced last week, corps in both World and Open Class will be evaluated by five judges (instead of the usual eight) during the opening days of the 2008 DCI Summer Tour. The move is part of a package of careful cost-cutting measures being implemented to offset the rising cost of transportation this summer. 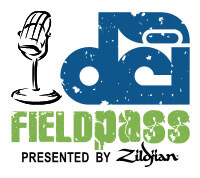 In today's Field Pass presented by Zildjian, Dan Potter finds out what impact the smaller judging panels might have on the corps and the adjudication process from judge administrator John Phillips.